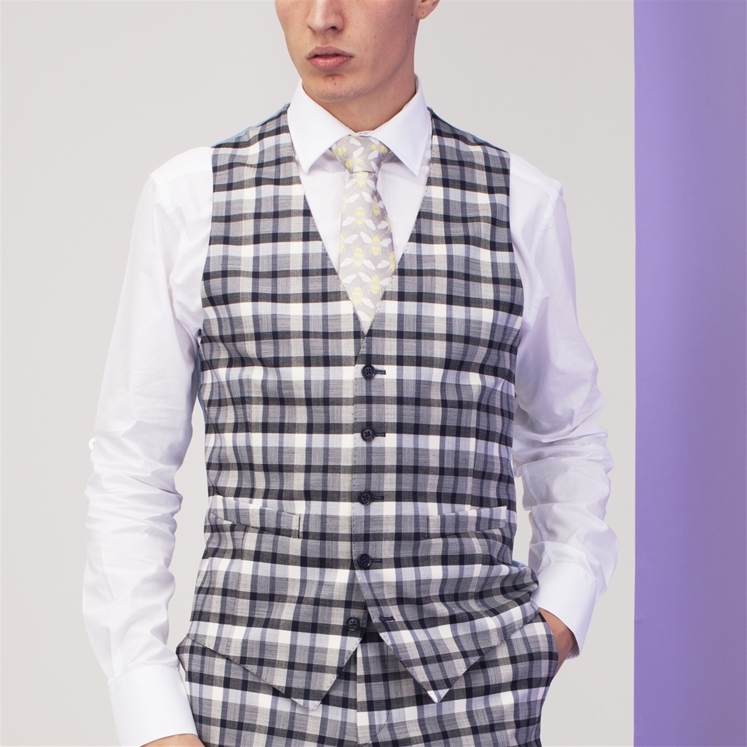 Add some interest to any outfit with this Gingham waistcoat. Team with the matching 2 piece suit or a well pair of tailored trousers. 55% Polyester / 43% Wool / 2% Elastane. Dry clean only.